The phrase “labour of love” was certainly appropriate for one of our most recent projects www.superblylocal.co.uk . Although just under a year in conception, this was a mammoth project in terms of reach, or should we say “outreach”, of organisation, and of the pages and main elements and eventual execution of the site, which eventually enabled us to go live this week. 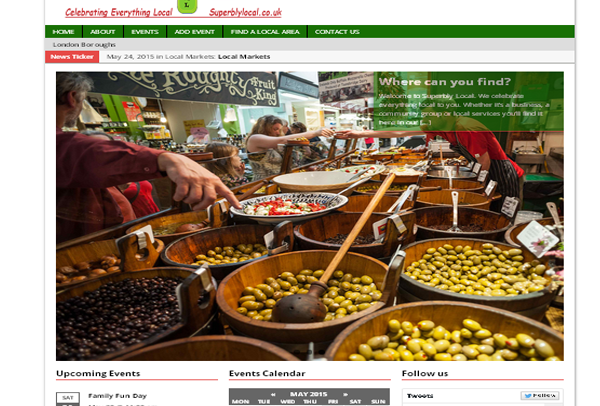 Superbly Local, like many sites, is a directory site of business, events, local news and pure social media networking, sharing and resharing. What distinguishes it from other directories is that it is not impersonal, you do get a feel there are people driving this. And why? Well we spent the first 6 months or so of the project building up a following well ahead of this site build and eventual launch. We researched and reviewed all of the elements that would go into the site. We used those that worked best for the visitor. Furthermore, our experience creating building and maintaining a hyperlocal site at EnfieldTogether.co.uk which launched in 2012, and on other web projects really helped. 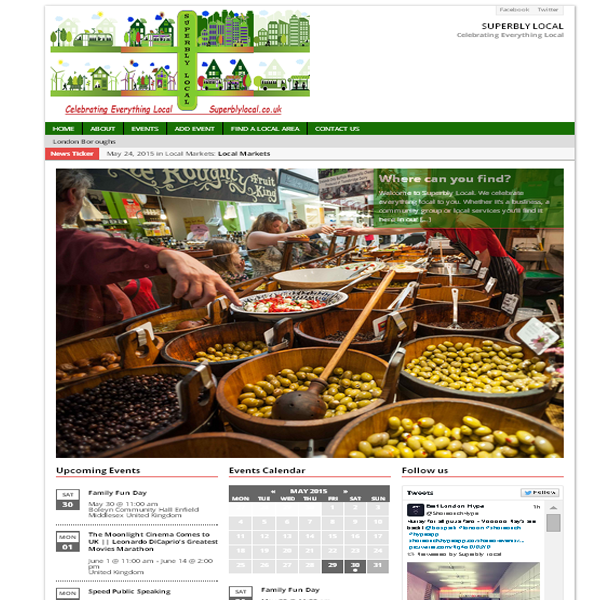 The Superbly Local site boasts events listing where our users can create, edit and publish their own events, and a free business directory, and we have built local area pages to ensure all is locally relevant. So that’s currently 34 free standing web sites! To have a packed calendar for the first few months from day one of launch was a really satisfying goal reached. Having people add their events and follow us was wonderful. Our work has only just begun as we hope to add more areas, and also begin the long, and highly enjoyably process of engaging with local people to make the site a success. So we will play the long game, and ensure the site always has that social edge that most directory sites sadly lack. Our motto is “Celebrating Everything Local”. Let the celebrations begin! We’re also always on the lookout for bloggers, and sponsors either locally or nationally, or if you need our help please contact us.